Shelley Carter recently ran a group art show all about death – so I knew we had to have a talk about it. Shelley is a talent artist, diviner, and psychotherapist who lives just north of Toronto. She co-ordinated the amazing Elora Tarot deck which I had the pleasure of making a card for. 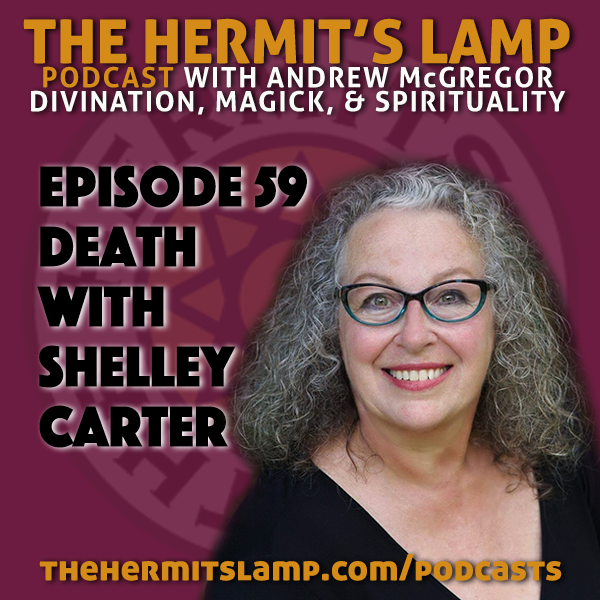 Connect with Shelley through her website, and see the “Death Perceptions” here. If you want more of this in your life you can subscribe by RSS , iTunes, Stitcher, Podbean, or email. Thanks for listening! If you dig this please subscribe and share with those who would like it. If you are interested in booking time with Andrew either in Toronto or by phone or Skype from anywhere click here.